The thing about facial and body hair is that it always comes back. You can shave and wax as much as you want, but it will always return to keep you warm in the winter within a week or less. If you’re looking for a process to rid your body of hair for good, look no further than laser hair removal. Say goodbye to body hair and follow these laser hair removal survival guidelines for amazing results. Laser hair removal, a non-invasive treatment, is nearly pain-free with virtually no downtime after the procedure. The laser targets the pigment melanin in the root of the hair follicle and therefore eliminates the hair growth entirely. A well-designed treatment regime usually includes six treatments spaced four to 8 weeks apart depending on the body area, as well as skin and hair type. Am I a Good Candidate for Laser Hair Removal? Since laser hair removal targets pigment, people with darker hair and lighter skin are the best candidates. People with very tanned or darker skin tones have more melanin in the upper layers of the skin. Because of this, the skin will also absorb some of the laser light, which can result in burns on the skin. Therefore, the treatment protocol must be less aggressive, often starting at lower energy levels and doing test spots to ensure that the skin is not burned. It can also take more treatments to achieve the desired results. If you have white, gray, or light blonde hair, laser hair removal will not be very effective. If you think you may go gray in the future, don’t wait to get the treatments done! The best areas for laser hair removal are lower legs, bikini line, and underarms. Using a laser on the face, including the upper lip and chin, can be a bit more challenging because the hair is much more fine and stubborn. However, good success can be achieved with the right treatment plan. Yes! You will typically need maintenance treatments. It really differs by individual, but most people like to do one touch-up treatment per year. 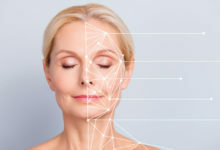 Knowing this is best practice, Belladerm MedSpa offers 50 percent off maintenance treatments FOR LIFE, on the area treated, for original treatments that are done here. Contact Belladerm MedSpa and schedule a consultation. We will help you determine if you are a good candidate for laser hair removal and create a treatment plan for you. Avoid tanning and any sun exposure before you schedule your first treatment. Tanning will increase your risk of hyperpigmentation or burn. Shave the area to be treated. DO NOT wax, pluck, or use products like Nair because they will destroy the hair bulb. Understand that hair grows in cycles, so you will not see immediate results after the first treatment. 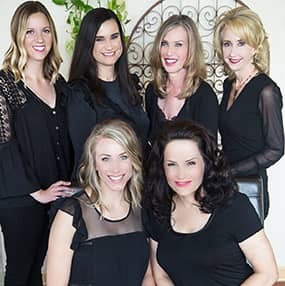 If you have questions or feel that you’d be a good candidate for laser hair removal, contact Belladerm MedSpa today to schedule a FREE consultation. We are offering a BOGO promotion on laser hair removal packages (e.g. buy a Brazilian package, get an underarm package free) right now and can’t wait to help you feel your smoothest and best self!